What a busy month! I’ve been working on a variety of design projects for marketing clients, doing fun things with my kids, reading a ton of books, researching for ilovehorses.net, and continuing to develop a new book project. You’ll see new articles here soon. 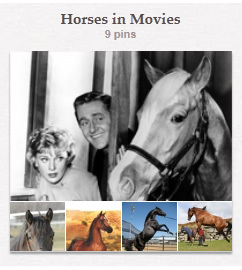 I’ve created a Pinterest board for ilovehorses.net and I invite you to check it out. Included are some unique photos you probably haven’t seen yet. Here’s a preview. 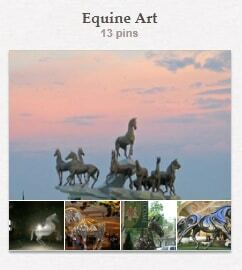 On the Equine Art board I’ve pinned a gorgeous 10-horse monument in Turkmenistan dedicated to the Akhal Teke breed and a horse “sculpture” commissioned by Stella McCartney with thousands of Swarovski crystals suspended in the air. 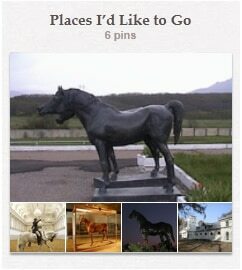 In Places I’d Like To Go, you’ll find photos of the Spanish Riding School, the sculptures at Tersk Arabian Stud in the Russian Caucasus Mountains, and the Phar Lap exhibit in Australia. 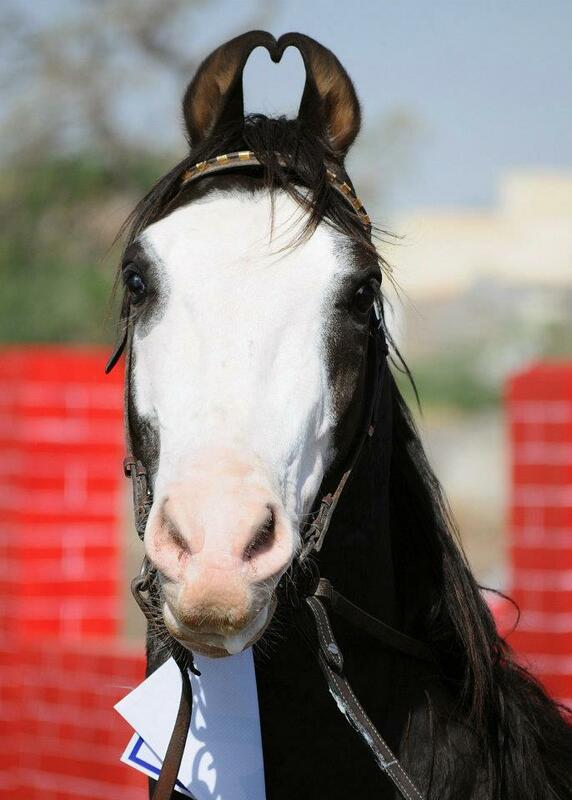 Horses in Movies is one of my favorite categories because I’ve done some digging to find those equine stars you may not be aware of, like Hollywood Extra, the Thoroughbred colt who played the newborn Joey in War Horse, or Thee Cyclone, the Arabian stallion who portrayed Shetan in Young Black Stallion — and was bay in real life. I need more recommendations for Books Worth Reading. 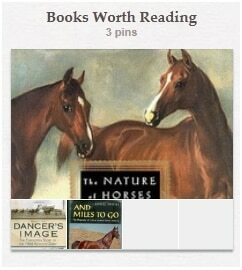 I’m including books I’ve read and enjoyed in recent years, but I’d like to include other books suggested by horse lovers. My current favorite recommendation is …And Miles To Go, an out-of-print book that can be checked out for free at Open Library. Another favorite category of mine is Interesting Horse Colors, partially because there are so many great colors and combinations out there. I’ve combed the web for some of the most unique coat color pics you can find, like a varnish roan pintaloosa; a stunning classic champagne half-Friesian, half-Saddlebred mare; and a blindingly shiny perlino Akhal Teke. 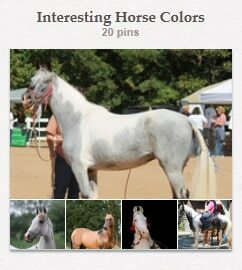 Visit ilovehorses.net’s growing Pinterest boards and enjoy the lovely pics. If you’d like to start your own Pinterest board and you need an invite, leave a comment below. I look forward to seeing you on Pinterest!